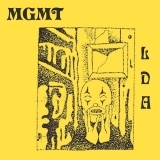 Little Dark Age is ranked 3rd best out of 8 albums by MGMT on BestEverAlbums.com. The best album by MGMT is Oracular Spectacular which is ranked number 249 in the list of all-time albums with a total rank score of 11,346. Members who like this album also like: A Moon Shaped Pool by Radiohead, To Pimp A Butterfly by Kendrick Lamar and Currents by Tame Impala. Fox Theater - Oakland, Oakland, United States. Rialto Theatre-Tucson, Tucson, United States. Related links: top tracks by MGMTtop tracks of the 2010s, top tracks of 2018. Showing latest 5 ratings for this album. | Show all 551 ratings for this album. Let's be serious: when was the last time MGMT surprised everyone? For some, it was with their first album "Oracular Spectacular" where the New York duo had become the "hype" indie pop thanks to interplanetary hits like "Time To Pretend", "Kids" or "Electric Feel" and for others, it's just after their second album "Congratulations" in 2010 that surprised more than one (me, for example). But everyone agrees about their third opus of 2013 which was an incomprehensible sound weird album. We are in 2018 and the question is: are they able to surprise us again with their fourth album "Little Dark Age"? Well yes. We could hardly believe it but "Little Dark Age" is perhaps one of the most delightful albums of the duo just after "Congratulations". 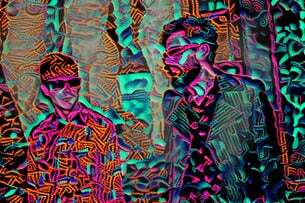 Bridging the gap between psychedelic pop, new wave, krautrock, italo-disco and post-tropical, MGMT sounds more than free of all unnecessary experimentation, despite some minor defects that still persist. But for the rest, Andrew VanWyngarden and Ben Goldwasser are moving in the right direction. And finally, I want to say! Best tracks: "When You Die"
Best MGMT record so far. The singles are undoubtedly the high points, but the unique shameless and quirky attitude of the band make this a very fun album to listen to from start to finish. Even though some of the songs on the album don't hit as hard as others, I gotta say the amazing songs make up for it and make this my favorite album of the year. It sounds different and new, and specially a very fun album. They sing about some dumd 'Millenials' topics, but still they manage to sound cool and fresh. She works out too much and When You Die are my top tracks. The production on this one is a loving throwback to the 1980s, but never sounds dated at any point. These songs are clever, intricate, varied, and often beautiful, but Little Dark Age has a good sense of humor and never takes itself too seriously. ...Above all else it's simply a fun listen. It sounds like two guys who live in their own little kooky world together trying to portray it the best they can in 45 minutes. And the glimpse that we get is a really addictive album. This may very well be my favorite MGMT record to date and is definitely one of my favorites of 2018 thus far. Very nice comeback after their somewhat flat 2013 album. It's both smooth and relaxing in places while having the occasional erratic, experimental track. Reminds me of a modern Talking Heads, which is what I always hoped MGMT would become. Warrants further listening, my rating may go up. First listen, this is so nice and chill but also has some great more pessimistic lyrics juxtaposed by the music. Just need to try listening stoned and the rating might go up even more ahah. Favourite songs: She Works Out Too Much, When You Die & James.